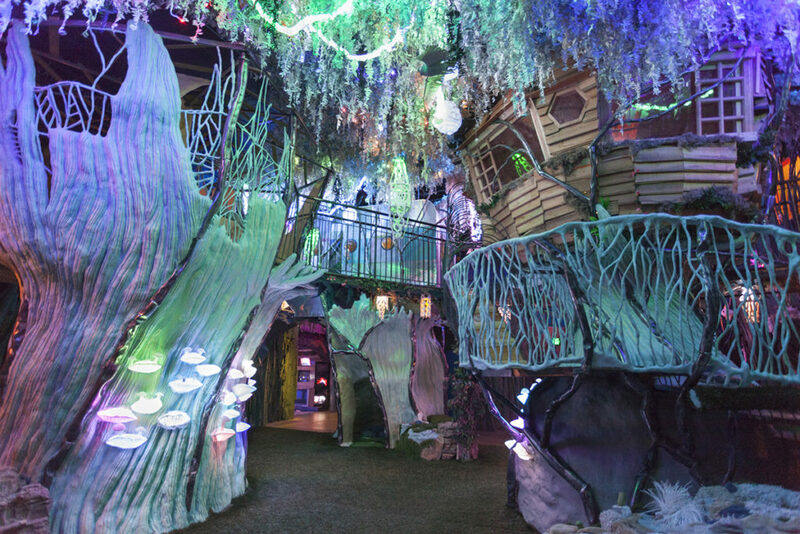 Meow Wolf is coming to D.C! But what is Meow Wolf? This new documentary sheds light on the meteoric rise of the Santa Fe-based alternative arts organization that has become one of the most unique and talked about producers of creative experiences today. Meow Wolf: Origin Story is an unlikely success story that chronicles the transformation of the anarchic art collective as they build an entirely new kind of art space, attract the support of George R.R. Martin (Game of Thrones), and morph into a multimillion dollar corporation in just a few short years. Since the opening of its highly successful exhibition, House of Eternal Return, the group has set its sights on other exhibits around the world. Origin Story follows Meow Wolf’s seven founding members and hundreds of volunteers as they navigate a decade of successes and failures, while constantly redefining their roles and the definition of what art can really be. The film itself reflects the explosive artistic nature of the space and the people it attracts , bringing its bright sounds and fantastic sights to life. Directed by Jilann Spitzmiller and Morgan Capps. Presented in partnership with the Environmental Film Festival in the Nation’s Capital.